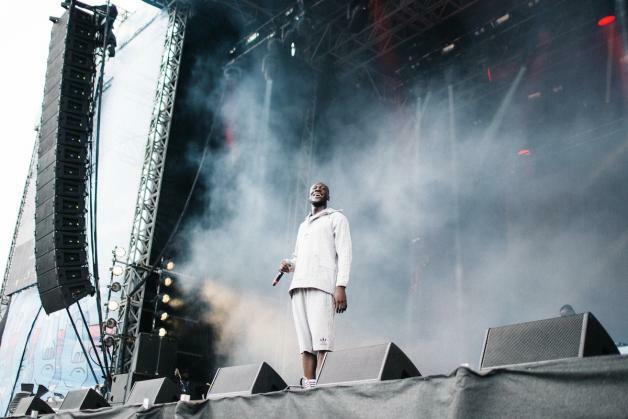 Stormzy is set to headline Glastonbury next summer. The festival returns to its Worthy Farm home in 2019, and speculation has been rife about who will perform. Stormzy has been linked with a high profile slot for weeks, and it seems that he has now been confirmed as headliner. The rapper appears on a poster which appeared in an Oxfam shop in the London borough of Streatham. The Independent reports that it is a genuine poster, and it is now understood that Stormzy will indeed be headlining Glastonbury. It caps another extraordinary year for the grime artist, who rocked the BRIT Awards, launching his own publishing house, and releasing his book Rise Up. Glastonbury takes place between June 26th - 30th.